Jonathan Boyer spent seven years in jail waiting for his day in court. Why? Because, as the Louisiana Court of Appeal found, the state refused to adequately fund legal counsel for indigent defendants due to a “funding crisis.” The Louisiana court, although attributing the seven-year delay to the state, ruled that the funding crisis was beyond the government’s control, and thus Boyer’s constitutional right to a speedy trial was not violated. After waiting most of a decade to get into court, Mr. Boyer was convicted after a trial lasting only one week. The dissent would ignore what the record plainly shows based largely on the Louisiana Court of Appeals’ observation that “[t]he majority of the seven-year delay was caused by the ‘lack of funding.’” . . . But when this statement is read in context, what it most likely means is not that the delay in question was caused by the State’s failure to provide funding but simply that the delay was attributable to the funding issue. And as noted, most of this delay was caused by the many defense requests for continuances of hearings on the issue of funding. If the defense had not sought and obtained those continuances, the trial might well have commenced at a much earlier date—and might have reached a conclusion far less favorable to the defense. In other words, it isn’t the state’s fault for inadequately funding indigent defense; it’s the defendant’s fault for daring to challenge the inadequate funding. It is unclear what options are left to the defendant in this situation; should the defendant simply accept shamefully underfunded representation? Indigent criminal defendants already face daunting obstacles to fair process in our justice system, including overburdened public defenders, lack of sufficient resources to mount a vigorous defense, and a high legal bar to showing constitutionally inadequate counsel. Denial of the right to speedy trial compounds these issues by making it harder to identify, locate, and employ witnesses and evidence at trial. Yet today, rather than stand up for the due process rights of indigent Americans, the Supreme Court chose to bend the facts and add to that burden. Where a State has failed to provide funding for the defense and that lack of funding causes a delay, the defendant cannot reasonably be faulted. Placing the consequences of such a delay squarely on the State’s shoulders is proper for the simple reason that an indigent defendant has no control over whether a State has set aside funds to pay his lawyer or fund any necessary investigation. . . . States routinely make tradeoffs in the allocation of limited resources, and it is reasonable that a State bear the consequences of these choices. Retired Supreme Court Justice Sandra Day O’Connor says she’s having some second thoughts about whether the Supreme Court even should have taken up the most controversial case of her tenure – and one of the most controversial Supreme Court decisions in history: the one that gave the 2000 presidential election to George W. Bush. O’Connor was part of the 5-4 majority in Bush v. Gore, which overturned a decision of the Florida Supreme Court ordering a statewide recount. In fact, Bush v. Gore was a classic example of judicial overreach. The Supreme Court never should have granted review of the case, as it was a matter of state law that typically would be – and should have been – left to the state Supreme Court. This overreach has only gotten worse since O’Connor resigned and President Bush replaced her with Samuel Alito. ● Take cases it doesn’t need to hear. ● Answer legal questions it was not actually asked. ● Make up new laws out of thin air. Bush v. Gore was among the most prominent examples of this ugly era. Perhaps Justice O’Connor’s second thoughts will help bring this era to an end. UPDATE, MAY 1: Talking Points Memo asks if Justice O’Connor’s vote in Bush v. Gore helped undo her own legacy. José Antonio Franco González is 33 years old, but he doesn’t know that. He also can’t tell time or remember telephone numbers. Yet when threatened with deportation, he had to defend himself entirely on his own. After a psychiatrist said Franco had no understanding of the proceedings, a judge dismissed the case. But Franco remained trapped in detention – for a total of five years – because he had no lawyer to represent him. U.S. immigration authorities have long maintained that, unlike criminal defendants, indigent immigrants have no right to a lawyer paid for by the government. Not even if they are severely mentally disabled. So Mr. Franco was trapped until an attorney for Public Counsel, a public interest law firm in Los Angeles, stumbled across the case and stepped in to represent Mr. Franco. 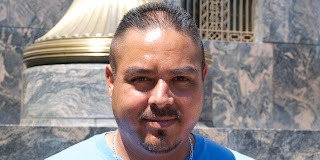 Mr. Franco became the lead plaintiff in a class-action suit brought by Public Counsel, the American Civil Liberties Union Immigrants’ Rights Project and other groups. Last week, a federal district court judge said that such abuses of immigrants’ rights must end. Judge Dolly Gee ordered immigration courts in three states to provide lawyers for indigent immigrants with mental disabilities who are facing deportation, and to give them bail hearings after six months of detention. The Justice Department is voluntarily extending the first part of the ruling nationwide. Judge Gee almost didn’t make it onto the bench. President Clinton nominated her in 1999, but the Senate Judiciary Committee, then controlled by Republicans, refused to give her a hearing before Clinton’s term ended. President Obama nominated her again in 2009, and Dolly Gee became the first Chinese-American woman to be named a federal district court judge. Far from being a controversial nominee, Judge Gee was confirmed by unanimous consent in the Senate. Her decision last week is one more illustration of why it’s so important to find the right judge for every federal court vacancy and fight Republican stalling tactics. The decision also illustrates something else: the need to fight ongoing efforts to curb the rights of Americans to band together as a class to stand up for their rights in court. The American Constitution Society also has a post about this case.